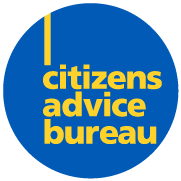 CAB Cornwall, as a member of the Citizens Advice service provides free, independent, confidential and impartial advice to individuals on their rights and responsibilities. It also values diversity, promotes equality and challenges discrimination. We offer a telephone service through which you will receive a Gateway Assessment interview which will help us assess your situation and get you the best advice you need either by a telephone advice call back or a face to face appointment, to access this service please dial 03444 111444 (operating Monday - Friday, from 10am until 4pm). We offer a Gateway Assessment interview service which will help us assess your situation and get you the best advice that you need, for information on our offices and the Gateway Assessment times at each office please see our website for details. Please be aware that we may leave a message to say that we have called.